Our firm welcomes applications from qualified, business-oriented, and motivated individuals for careers as attorneys and in support positions, as well as for placement in our summer associate program. If you are interested in further information, please email us or submit your resume in the form here. MDRXLaw is widely recognized for its healthcare and commercial litigation practices, where the firm has a long record of success litigating high-profile cases, orchestrating complicated transactions and resolving high-stakes disputes. Our attorneys have been named to the prestigious "Super Lawyers" list for two years in a row. MDRXLaw has a remarkable client base across practices, and our associates are offered opportunities to participate in advising those clients on substantive matters. We may be small in size, but are big on substance. By focusing on the industry rather than a particular legal specialty, we are able to offer our clients the type of holistic representation that we have become known and appreciated for. We operate at a very high level of efficiency, and our technology base can rival that of much larger firms. 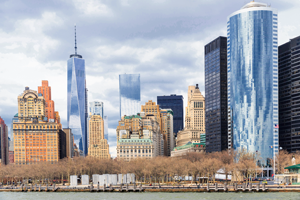 Situated in a beautiful art-deco building overlooking the Battery Park, with great transportation access to every part of New York City, the firm prides itself on its friendly, casual environment that is conducive to the free flow of ideas. We value the quality of life and believe that our system of operating the firm offers the best path towards professional fulfillment and individual growth. We are seeking a front-desk receptionist/secretary to manage calls and perform general office duties. At least two years of corporate or law firm experience. Experience with commercial litigation or corporate matters. We are seeking an associate with 2-4 years of experience and a genuine interest in the areas in which we practice. Individuals with government, white-collar prosecutorial and defense, and regulatory experience are also encouraged to apply. We are looking for a smart, entrepreneurial attorney who is able to take on a challenging project and complete it from start to finish. We place a high emphasis on client development and will encourage and reward such efforts accordingly. This is a long-term opportunity for the right individual. Responsibilities include drafting pleadings, motions, discovery demands, various commercial agreements, appearing in federal and state trial and appellate courts on a variety of matters, as well as research and drafting on a wide variety of healthcare-related legal matters. Salary is commensurable with experience. Thank you for your submission. We will review it shortly and reply.